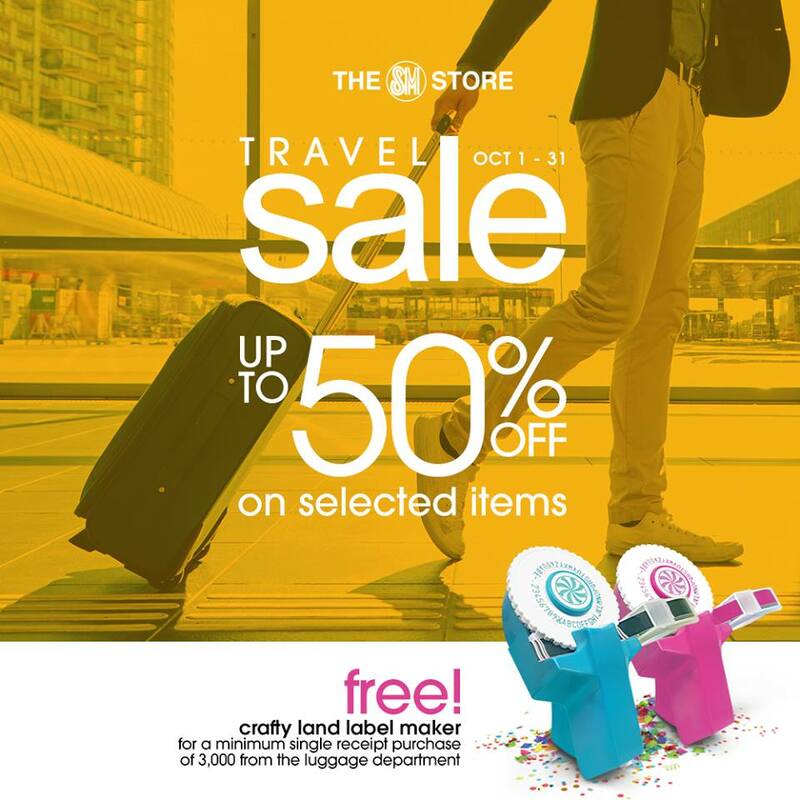 It's the Travel Gear SALE in all branches of The SM Store nationwide until October 31, 2017! Enjoy up to 50% OFF on selected travel gear brands. Plus...get a FREE Crafty Land Label Make for every P3,000 single-receipt purchase.